A leaked transcript of cockpit conversations in the Polish president’s plane which crashed in Russia in April 2010 confirm that Lech Kaczynski’s entourage pressured the pilots to land despite thick fog. Poland’s RMF FM radio station said that the transcripts it published were from the cockpit voice recorder, which was recovered from the crash site soon after the tragedy. Polish investigators managed to decipher 30 percent more of the conversations inside the cockpit by applying different equipment, it added. According to the transcript, the crew was concerned about the weather conditions at Smolensk Airport and considered turning back or diverting to another airport. But they were still pressured to land in thick fog so that President Kaczynski would make it in time to his destination without delay. "We will try [to land] until we make it," the head of diplomatic protocol in the Polish Foreign Ministry, Mariusz Kazana, told the captain around 15 minutes before the crash. Polish Air Force commander General Andrzej Blasik remained on the flight deck up to the moment the plane hit the ground, killing 96 people, including the Polish president and his wife, the head of the National Bank, top military commanders and other high-ranking officials. "This is a fact, we must make it to the end," Blasik said, according to the transcript from the voice recorder. The transcript revealed that during the last three minutes the plane was in the air unauthorized persons kept entering and leaving the cockpit, while somebody was constantly calling for quiet. There was also alcohol served on board, with an identified person wondering "What is it?" before receiving a reply, "Beer, and you are not drinking?" 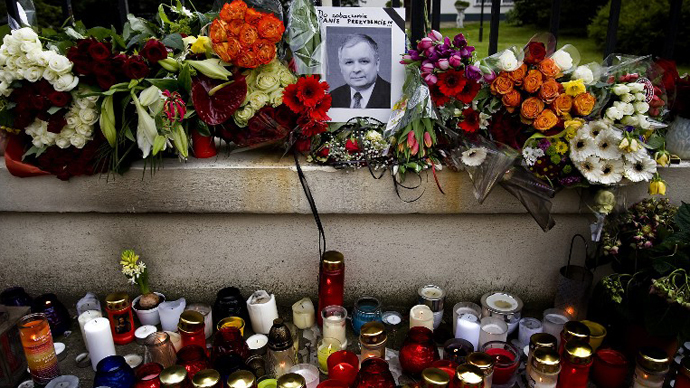 The Polish presidential plane crashed on April 10, 2010, en route to a ceremony to commemorate the 1940 Katyn Forest Massacre, in which thousands of Polish officers were executed by Stalin's secret police. A spokesman for the Polish investigation for the crash, Major Marcin Maksjan, said the transcript provided by RMF FM was inaccurate in several places, but provided no further comment. According to Maksjan, the investigation’s findings indicated that neither the pilots nor other people mentioned in the leaked transcript were under the influence of alcohol when the crash happened. 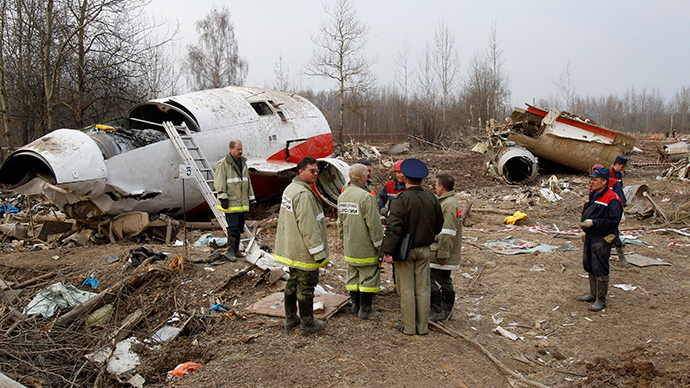 Russia’s Interstate Aviation Committee specialists previously ruled that the Smolensk tragedy was a result of human error, specifically the crew's decision to land in bad weather under psychological pressure. A Polish government panel of inquiry said the crashed was caused by the presidential plane's descent to an unacceptably low altitude at excessive speed in weather conditions that ruled out visual contact with the landing surface and a belated decision to make another landing attempt.